Alarmed by how much hair you had to clean out of the shower drain the other day? Most men I know are terrified of losing their hair, but what if I told you that it was possible to outwit your genetics? Men generally start losing their hair as early as their mid-20’s. Known as androgenetic alopecia, male-pattern baldness plagues even the best of us. Thankfully, there are solutions, and no I’m not talking about Rogaine. Nor am I talking about toupées. I am talking about shampoos for hair loss like Regenepure, my personal miracle in a bottle. Hair loss shampoos are an affordable, risk-free treatment for men who want to prevent further hair loss and even regrow lost hair. Don’t think it works? We’re not selling you magic pills or potions. These shampoos have been tried and tested by thousands of customers, and they really work. I guarantee it. Maybe you’re tired of pills, prescriptions, and magic formulas? It seems like every time you turn around there’s someone else trying to pass you the perfect solution to male-pattern baldness. Am I right? Well, Biotin Shampoo for Hair Growth B-Complex Formula for Hair Loss takes a different approach. Instead of treating the symptoms, they treat the problem at its source. 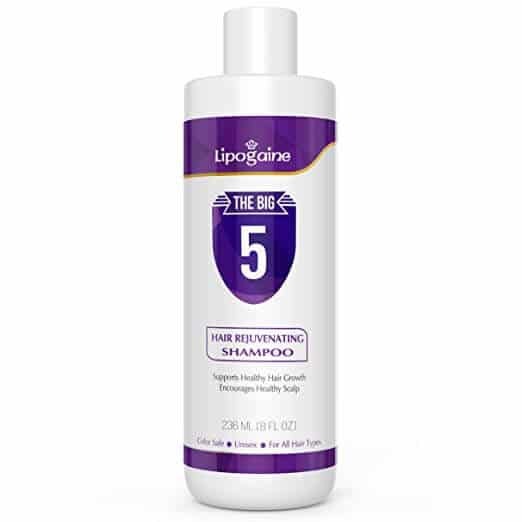 With a combination of zinc, biotin, coconut oil, provitamin B5, and a combination of other nutrient-rich botanicals, this hair loss shampoo for men cleans your scalp, eliminates traces of DHT, and provides your hair with nutrients essential to healthy hair growth. What is DHT? I’m glad you asked. DHT, otherwise known as dihydrotestosterone, is a hormone closely associated with hair loss in both men and women. It causes follicles to shrink shortening the lifespan of each hair and slowing hair production overall. While a new hair would normally grow in where the previous one fell out, high levels of DHT will prevent these new hairs from popping through. While it won’t necessarily transform you into Repunzel if you’re a clean cue ball, the reviews are clear. If you start using this shampoo early enough, it can thicken thin hair and ultimately help prevent male-pattern baldness. Made with all-natural ingredients, this new scientific formula is guaranteed to give you results or your money back. The choice is yours. I know I would choose a full head of hair though. A couple of years ago, I started using the cheap dollar store shampoo I found on sale at the drugstore. Big mistake! My hair started thinning like crazy. Thankfully, after only a few 2 weeks using this hair growth shampoo, I saw a massive improvement. I now feel more confident every time I look in the mirror. Alfred C.
As it turns out, an unlucky mix of genetics and hormones isn’t the only cause for concern. Brittle, dry locks fall out pretty quickly. Biotin and DHT blockers like Saw Palmetto are great. However, if you’re not properly conditioning your hair as well, you should still expect to see quite a bit of hair collecting in the shower drain. Hairgenics Pronexa Clinical Strength Hair Growth & Regrowth Therapy Shampoo leaves your hair silky smooth. Not only does it promote growth, but it nourishes and conditions your hair as well. I once travelled to the Middle East for work, and after a month of living in the desert, I had practically lost half of my hair. Even though I was using the same products I used back in the United States, the hair was so dry, it would just break off when I washed or combed it. While it did grow back, I made sure never to make the mistake again. In other words, hydrate your hair, or prepare to say goodbye. Even better, it’s made with aloe vera. Aloe vera doesn’t just soothe sunburned skin. It’s also a miracle plant for the hair. Packed with proteolytic enzymes, it’s known to repair damaged hair cells and improve follicle health boosting growth. Plus, it locks in moisture, and prevents shedding. Proven to keep your hair stronger, healthier, and softer, this shampoo for men works. Period. I’ve never felt better about my hair, and I’m getting non-stop compliments from my friends and co-workers. I will definitely keep purchasing Hairgenics. I’ve tried four other shampoos, and this is the only hair growth shampoo that REALLY WORKS. Jeremy S.
Biotin and aloe vera are examples of natural hair growth ingredients. Some like to say that nature has everything we need. If you know where to look, you can find all sorts of essential oils, healing herbs, and soothing balms. However, they’re not going to be nearly as effective in regrowing your hair without this one secret ingredient. Regenepure – DR Shampoo, Hair and Scalp Treatment has a medicinal formula that not only prevents hair loss, but actually helps regrow lost hair. Even if you’re in your forties—heck, even if you’re in your fifties–this shampoo for hair loss will give you a fuller head of hair. What is ketoconazole? Ketoconazole is an antifungal medication scientifically proven to combat hair loss. Products with a concentration of 1% may be purchased without a prescription but have been extensively tested in laboratories.Simply leave the shampoo on your head for five minutes to let it sink in properly. I could continue trying to sell it to you, but there’s really no reason to. The proof is in the pictures. 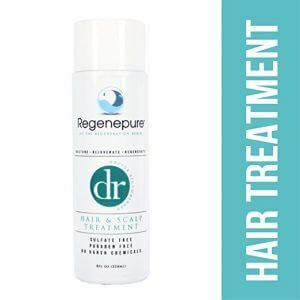 Regenepure has helped hundreds and hundreds of men grow their hair back. 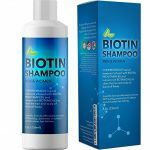 Click on the blue button below to see shampoo for hair loss reviews and before and after pictures. Try it once, and you’ll never need another hair growth shampoo ever again. Promise. I went to the barber the other day, and he couldn’t believe how much new growth there was. I’ve been seeing the same barber for the last fifteen years, and he said my hair has never looked so healthy. I told him I’ve been using Regenepure hair growth shampoo, and he was shocked. Now he recommends it to all of his regular customers and even sells it in his shop. Aaron C.
Ultrax Labs Hair Surge | Caffeine Hair Loss Hair Growth Stimulating Shampoo has a simple formula with three important ingredients: ketoconazole, saw palmetto, and caffeine. Wait, caffeine? Doesn’t that belong in your coffee? Well, yes, but it’s also proven to improve hair growth. It actually helps guide your hair follicles, prevent abnormal hair loss, and restore growth. However, there’s probably not enough in your morning cup of joe to make a real difference. You’ll need to apply it directly to your skin in a more concentrated form for it to have any effect. Saw palmetto comes from a small palm with fan-shaped leaves and toothed stalks known to block DHT. Native to the southeastern United States, these leaves are completely natural and totally harmless. Now there’s no beating around the bush. This shampoo is pretty expensive. At over $50 a bottle, you’re going to need to make some room in your budget especially if you’re using it every day. That being said, it absolutely works. It’s not going to change your genetics, but if you use it every day, you’ll start to see results. So, if you have the money for it, go for it. Highly, highly recommended. I’m in my forties, and my hair has been thinning for a good fifteen years at least. I didn’t think there was any hope for me at all because my grandfathers on both sides are completely bald. A friend passed this shampoo along to me, and I tried it just to satisfy him. I didn’t see a huge difference at first, but after a few months, I started noticing all of these baby hairs on my bald patch and along my hairline.In fact, usually I get my hair cut every month or so, but with this shampoo, I’m going to the barber every two weeks. It’s an absolute miracle! If it can work for me, it can work for you too. Worth every penny! Tom F.
What Shampoo Helps Hair Grow? Looking for Hair Loss Shampoo for Men? Comment below to tell us whether you’ve tried any of these shampoos. Did they work for you? How often do you need to apply them? We want to hear what you have to say.